We take our oceans seriously. Sustainability is the key to secure the future of seafood. 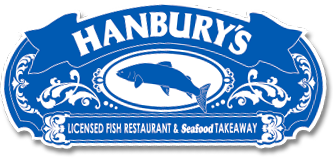 Hanbury’s fish is purchased from suppliers who adopt ethical practices and source sustainable fish. Hanbury’s is proud to be a member of the Marine Conservation Society. The Marine Conservation Society (MCS) is a charity that cares for our seas, shores and wildlife. We wholeheartedly back the MCS in its bid to reduce overfishing and promote sustainable seafood alternatives. The MCS produces a Good Fish Guide which helps consumers choose sustainable seafood. Their pocket guide is available to pick up free at Hanbury’s. There is not a lack of fish to eat but this guide helps consumers make an informed choice about which type of fish to choose. The work of the MCS ensures that the sea’s rich wildlife can be restored, fish stocks grown more plentiful and our beaches and seawater become cleaner. The Marine Conservation Society’s Pocket Good Fish Guide puts YOU in control.You can safeguard the future of our fisheries and other marine wildlife by only choosing fish from sustainable sources.The Pocket Good Fish Guide tells you which fish are the best sustainable choices, which fish you should avoid completely, and the fish you can eat just occasionally to limit pressure on their stocks. Hanbury’s cod and haddock are now certified by the Marine Stewardship Council Chain of Custody standard for seafood traceability which means that our fish can be traced back to a fishery that meets the MSC environmental standard for sustainable fishing. This ensures that all the companies involved in getting the fish from its source to your plate have been certified. To get this certification businesses must be audited to show that they have effective traceability, storage and record-keeping systems. As well as ensuring the fish that you eat is from a sustainable source, the Chain of Custody also helps to keep illegally caught fish out of the seafood supply chain. The MSC’s fishery certification programme recognises and rewards sustainable fishing. It is a global organisation working with fisheries, seafood companies, scientists, conservation groups and the public, to promote the best environmental choice in seafood.